This class is “technology-centric”, designed to train attendees in essential JEE patterns background coupling the most current, effective techniques with the most effective practices. The course provides a solid foundation in essential terminology and concepts, extended and built upon throughout the engagement. Processes and best practices are discussed and illustrated through both discussions and group activities. At the end of each lesson, developers will be tested with a set of review questions to ensure that he/she has fully understands that topic. Attending students will be led through a series of advanced topics comprised of integrated lectures, extensive hands-on lab exercises, group discussions and comprehensive demonstrations. Please see below for additional information about the hands-on lab work. Geared for experienced enterprise Java (JEE) developers, Mastering JEE Design Patterns is a lab-intensive Java/JEE design patterns training course which explores the many sophisticated JEE-oriented design patterns and how to use these patterns to develop solid, robust and reusable JEE applications. Technologies such as JPA and EJB3, as well as frameworks such as Spring, Web Services, and rich interfaces, have significantly impacted previous generations of design patterns. Many of these technologies were heavily influenced by the very problems that previous design patterns addressed. While the basic patterns still ring true, the more advanced patterns have evolved into more robust solutions for secure, stable and scalable enterprise applications. This is an intermediate level Java EE (JEE) developer course, designed for experienced Java developers, new to JEE, that need to further extend their skills in Web Development and Struts. 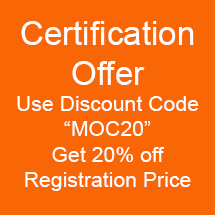 Attendees should have an extensive working knowledge in developing basic Java applications.